VPF and ETOPO (see Chapter 7, External datasets) can only add so much context to the analysis of a dataset. 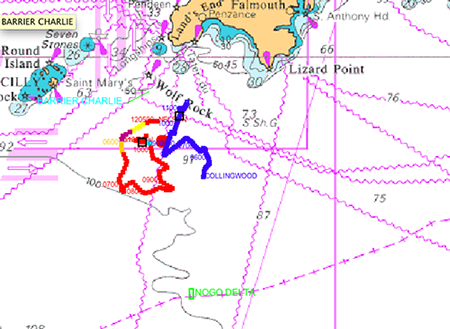 Nautical Chart data contains a large volume of additional infromation that can assist analysis. Debrief supports chart data distributed by UKHO, though the standards used also allow chart from other sources to be incorporated. The chart support in Debrief is provided through integration of GeoTools library (see Chapter 18, GeoTools in Debrief). Beyond specific file types, Debrief recognises chart folios distributed by UKHO. Where these folios are configured within Debrief users are able to view the spatial extents of available charts - loading them as necessary.